White Rabbit Theatre Ensemble is a Gold Coast based theatre company that was founded in 2012 by Artistic Director Lisa Smith. 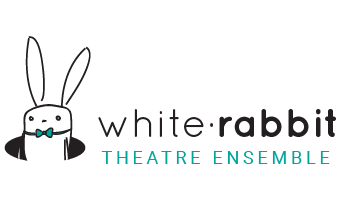 With a focus on the production of new, dynamic work for theatre, White Rabbit Theatre Ensemble has a passion for creative collaboration, delighting in the exploration, discovery and rediscovery of the world of possibilities laid before us in this magical place, theatre. 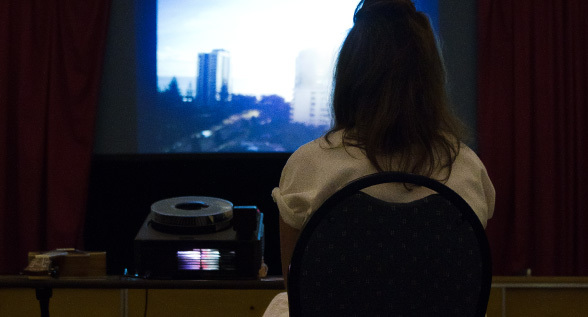 WRTE is a platform for professional and emerging artists to explore new horizons, to hone their skills and present compelling, surprising and engaging work for our audiences. Since its inception, White Rabbit Theatre Ensemble has collaborated with local and guest artists to create several new works for theatre, nurturing and supporting artists through creative development, script development and dramaturgy processes, as well as rehearsals and seasons of resulting works. Our original production ‘The Grand’ by Victoria Carless enjoyed its world premiere at The Arts Centre Gold Coast and was subsequently published by PlayLab Australia. WRTE is committed to the growth, support and enrichment of the arts on the beautiful Gold Coast, engaging the wide array of talented artists that call it home, and inviting creatives from other locales to engage with us, our work and our city. 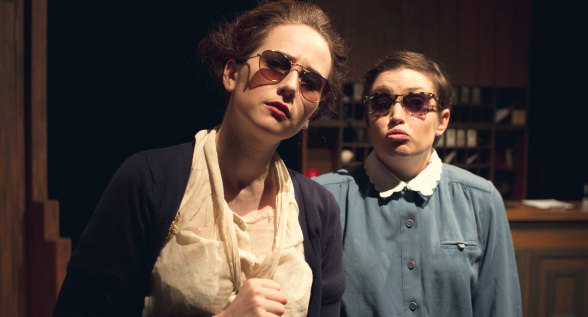 In 2017, White Rabbit Theatre Ensemble opened our studio THE BURROW, and with it White Rabbit Studio. As the training arm to the company, White Rabbit Studio offers regular classes in Drama, Theatre, and Musical Theatre as well as a dynamic series of Master Classes and Workshop opportunities run by industry professionals and special guest artists. Classes are available for children, youth and adults, from absolute beginners to the seasoned professional. The Burrow is located in Currumbin Waters on the Gold Coast. 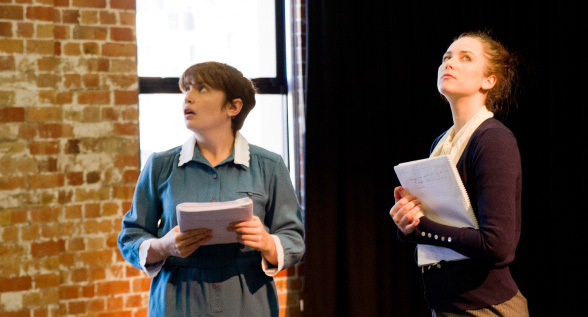 As part of programs and opportunities at The Burrow, White Rabbit Theatre Ensemble is excited to introduce several new platforms for artists and audiences that will be beginning soon, including Monthly Play Readings, Works in Development Opportunities and our very own Burrow Book Club. We believe that theatre exists as an expression of community, and we invite you to become a part of ours. Follow us down the rabbit hole. 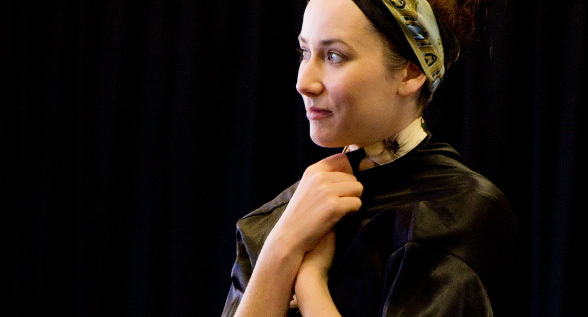 A large part of the White Rabbit ethos is the support and creation of new works for theatre. Engaging professional writers and dramaturges as mentors, White Rabbit’s commitment to championing new work will be developed and extended during 2017. Keep an eye on our What’s On page for opportunities for writers, directors and other creatives to get involved in bringing new works for theatre off the page and onto the stage. Meet Claude. 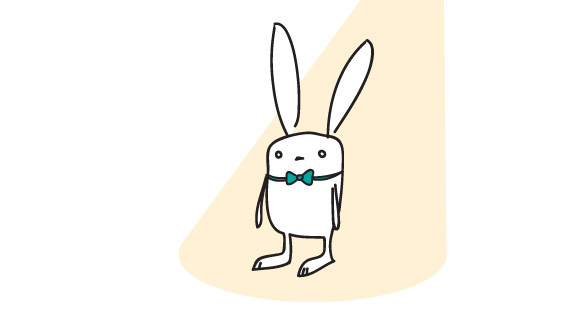 White Rabbit Theatre Ensemble’s delightful bunny was named by a popular vote shortly after he was unveiled on social media in 2015. The company name ‘White Rabbit Theatre Ensemble’ came from a variety of sources, but was largely inspired by the character from Lewis Carroll’s much loved stories of Alice’s Adventures in Wonderland, and the fantastical connotations surrounding the phrase “down the rabbit hole”. Theatre is a magical place, and the suspension of disbelief – the act of collective imagination – is what going ‘down the rabbit hole’ is all about. It's about cultivating curiosity. We invite you to Follow the White Rabbit into this strange place called theatre.